The European Union finds itself in the deepest crisis since its inception. Brexit represents the first ever rolling-back of EU integration. Inequality in Europe is on the rise, between rich and poor as well as between regions and countries. The promise of prosperity for which the European Union once stood is accessible to fewer and fewer people. Instead of integration, the EU is today primarily a driver of division. Yet despite these deep rifts, for many people, the “commitment to Europe” is an integral part of their political identity. This emotional bond is based not only on the unspoken equation of the continent with the EU single market but, above all, on the widely reinforced image of the EU as a peace project, the fruits of the lessons from two world wars and a symbolic space for mobility, freedom and political cooperation. Who could possibly oppose it? Criticism of the EU is dealt out most aggressively by those who perpetuate xenophobia and exclusion and who idealise the nation state. Although a great many people acknowledge that the current neoliberal policies themselves are responsible for the rise of the right, it is still widely supposed that the only way to oppose the nationalists is by advocating for “more Europe”. This justified concern about the further rise of extreme right makes it unthinkable for many people to question the EU on a fundamental level. People approach the issue as though no other form of interstate cooperation could ever be imagined. But does the EU really have the potential to become the “social and democratic Europe” that has been presented to us as a political ideal for decades? Was it even designed to fulfil that promise? Is it truly the right political framework for moving closer to our vision of a good life for all and a democratic, ecologically sustainable, socially equal and gender equal economic system? This book will attempt to provide answers. To do this, it will be necessary to cast a critical eye over many of the cherished and fundamentally positive images of what constitutes the EU at its core. The current EU debate is dominated by the polarisation between “pro-European” and “anti-European” forces – yet this ubiquitous portrayal of the situation is a clever manoeuvre to shift attention away from social issues and the uneven distribution of wealth. Right-wing extremists and neoliberal forces alike benefit from this. While right-wing extremists stir up conflict between people of different backgrounds, neoliberals avoid the question of social issues at any cost. At the same time, conservatives and liberals exploit this polarisation to equate the criticisms of EU-sceptical social movements with right-wing extremists, causing them to be defamed and delegitimised. The reality is that the EU and the nation-states are not two opposing poles, but rather fused-together blocks. How we create and distribute our wealth is negotiated at both levels. The crucial question is therefore not where decisions are passed, but whose interests they favour. As such, another aim of this book is to break down the false dichotomy between “pro and anti-European” forces and to open up new perspectives. As far back as 2006 and 2009, Attac Austria was criticising the neoliberal orientation of European “integration” in Das kritische EU-Buch (“The Critical EU Book”) and Wir bauen Europa neu (“Building Europe Anew”) and proposing a variety of alternatives and reforms. We have always supported European integration in principle; however, the political events of recent years have increasingly called this position into question. For one thing, the long-standing calls of European social movements for economic reorientation and democratisation of the EU have gone unheeded. For another, we hoped, in the spring of 2015, that the left and social movements in Greece would be able to initiate a change of course for the whole of Europe. 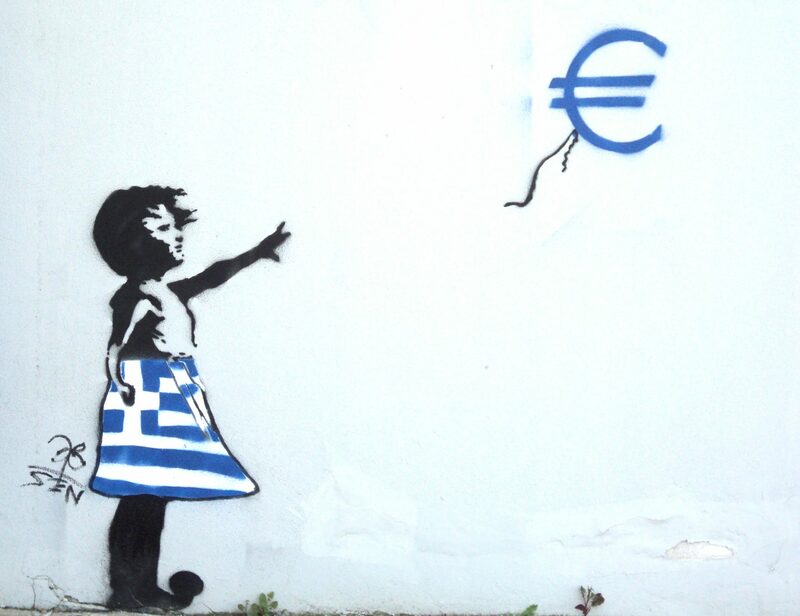 In the end, however, the Greek government failed in its attempt to break with neoliberal austerity. The enormous power with which EU institutions and governments opposed the prospect of an economic and political alternative surprised many. What’s more, the pressure exerted by CETA proponents on the recalcitrant region of Wallonia in autumn 2016 indicated clearly that European elites were seeking to maintain the EU’s neoliberal trajectory at all costs. Now, at the time of translating this book, the European Union has shifted massively to the right. There is a strong push for military integration, and the Union is arming itself against refugees, planning European detention camps and crushing the last remnants of solidarity. Parts of our previous strategies – to formulate alternative policy proposals and fight for a different EU – put us in a defensive position. And we are further from achieving them than ever. As politics becomes more and more right-wing, however, it is becoming less and less possible to depict a “different EU” as a credible alternative. All of these factors have encouraged us to rethink the things we previously argued for. An exit from the EU? In the eyes of Attac Austria, there is no doubt that international cooperation and solidarity are indispensable for transforming our economies and societies in such a way that a good life is made possible for all. At its core, however, the EU is a space for intensified competition – both between EU states and at the global level. The policy of deregulation, liberalisation and privatisation that was set forth in the EU treaties and has been pursued for decades is now also being placed at the core of internationally binding treaties with third countries, with current examples including the TTIP and CETA trade agreements. Yet this policy contravenes the interests of the vast majority. In the light of the current unanimity requirement among the EU Council and the dominance of neoliberal forces, the progressive reform of EU treaties and the hope of alternative economic policy are nothing more than an illusion. At the same time, a “return to the nation state” or an exit from the EU or the euro is not a solution. From a purely economic point of view, exiting the EU would entail very different opportunities and sometimes considerable risks depending on the EU member state in question. In most countries, due to the current balance of power, an exit would further bolster extreme right-wing forces. Brexit has shown how social movements can be ground down when nationalist and neoliberal forces lock horns over leaving the EU. But if the EU cannot be saved on our terms, and if an exit is not a solution, then what is to be done instead? How can we empower ourselves to act? The European Illusion is intended to be the catalyst for an open and wide-ranging debate that will help us resume an offensive position on advancing our vision of a good life for all. The book provides some answers, but does not provide cut-and-dried solutions. Instead, we focus on strategic perspectives and how we can empower ourselves to act. To enable the broadest possible assessment of EU policy, we begin with the political and economic history of European integration; what have been the driving mechanisms behind economic and political unification and the developments of recent decades? This is followed by analyses of key areas of EU policy – what role does the EU play in these fields and what are social movements asking for? The middle section of the book consists of political inventory-taking: where do we stand today after decades of neo-liberal EU integration, Greece, Brexit and the swing to the right? Do currently held assumptions and beliefs about the EU stand up to scrutiny? We formulate political theses concerning the current situation and the challenges of the debate. The central focus and concluding section of the book is formed of the strategic chapters, which outline perspectives for action beyond the false dichotomy of “reform or withdrawal”: what scope for action exists within existing EU structures, and for which of our political demands do we need to construct our own alternatives from the bottom up? Which issues have the potential to create ruptures in the fabric of the EU; in individual countries, regions or cities? How can we change the balance of forces at the various levels and amass the necessary power to make emancipatory politics possible? The European Illusion was first published in German in the autumn of 2017. We are very thankful to Rosa Luxemburg Foundation Brussels for their support in translating the book to English. We wish to offer our heartfelt thanks to all authors of The European Illusion: Why we need new strategies towards the EU and beyond, who have not only written fantastic texts, but also patiently endured both our edits and the translation process. We wish to thank the Rosa Luxemburg Foundation Brussels for their support of the English version. This edition would not have been possible without them. Our thanks also go to Hannah Campbell for the translation, the Austrian Mandelbaum Verlag for three successful German editions and Wolfgang Homola for the graphics. The book would not have come about without the countless comments and suggestions of our contributors, the editing and the coordination of the various texts. We would like to extend our thanks to the editorial team: Manuel Grebenjak, Ralph Guth, Elisabeth Klatzer, Martin Konecny, Lisa Mittendrein, Valentin Schwarz, Alexandra Strickner, Cilli Supper-Schmitzberger, Simon Theurl, David Walch and Augustine Wöss.